This Red Sangria Recipe is an absolute classic and only takes about 10 minutes to make! It is the perfect summer cocktail and a recipe you must have in your back pocket. 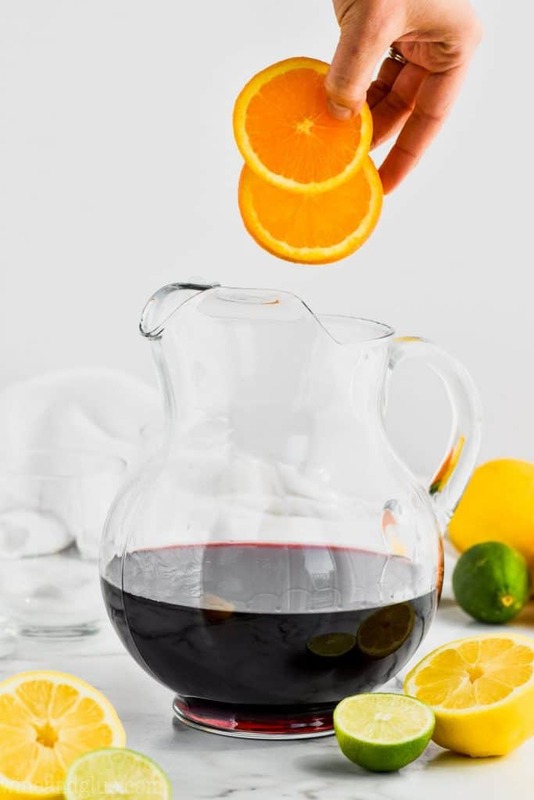 Love sangria and want the white wine version too? Make my White Sangria Recipe. Happy Friday my friends! This week has throughly throttled me. Well, it probably was the last three weeks. But now we are heading into the weekend and I’m looking forward to some chill family time. I’ve been reading the first Harry Potter to Quinn and we are just about to finish it and then we are going to watch the movie this weekend. I am giddy with excitement about it. What else am I excited about for this weekend? 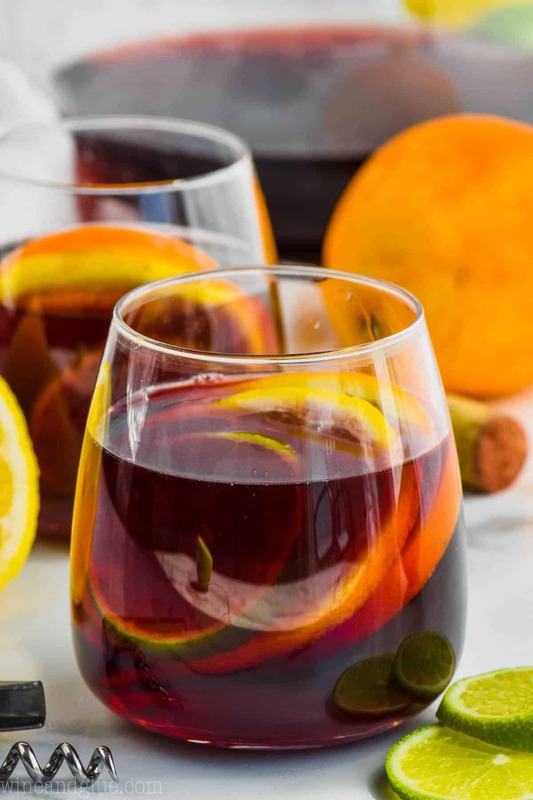 Sharing this amazing Red Sangria Recipe with you. 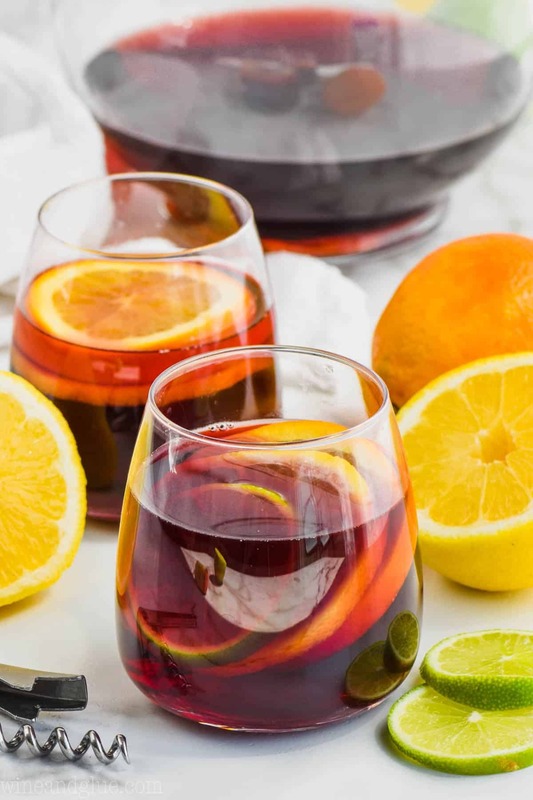 But when you just need the traditional Red Sangria, this is the recipe that will not quit! It is simple and the perfect balance of flavors. Plus I have a few tips for you to make it turn out amazing every single time. One of the things I love about this recipe is how easy it is. You only need a few ingredients, and the most time intensive part is the slicing of the fruit! Red Wine – Wondering what kind? Read on, friends! Simple Syrup (optional) – You can buy this, but it is so simple to make! LET’S TALK RED WINE, SHALL WE? You might be asking yourself what type of red wine you should use in this sangria recipe. Guys, I am not a snob when it comes to red wine. Or really any wine . . . I used a bottle of Cabernet Sauvignon in this. 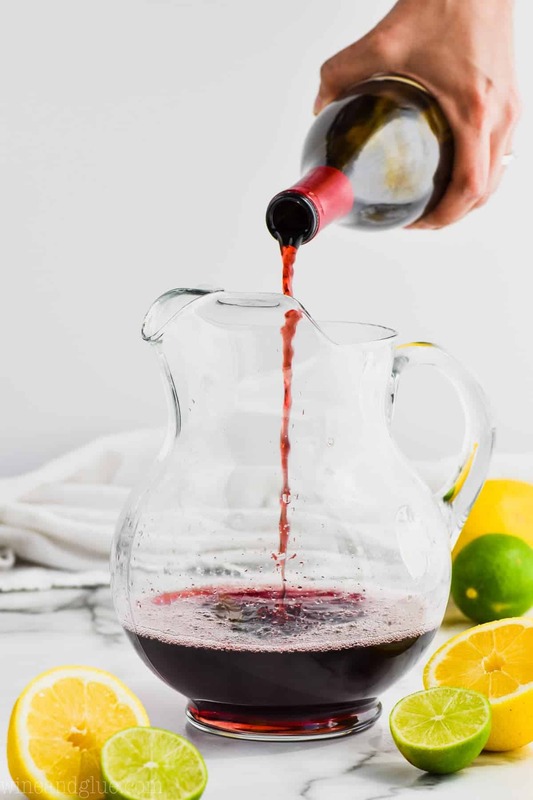 It is a type of wine often used in a classic or traditional red sangria recipe, but you could also use a Pinot Noir or a Merlot. I’m not a purist. What I really think is most important is that you pick a red wine that you love on it’s own. That way you will really love it in this sangria recipe. Personally, I prefer Cointreau in this recipe. 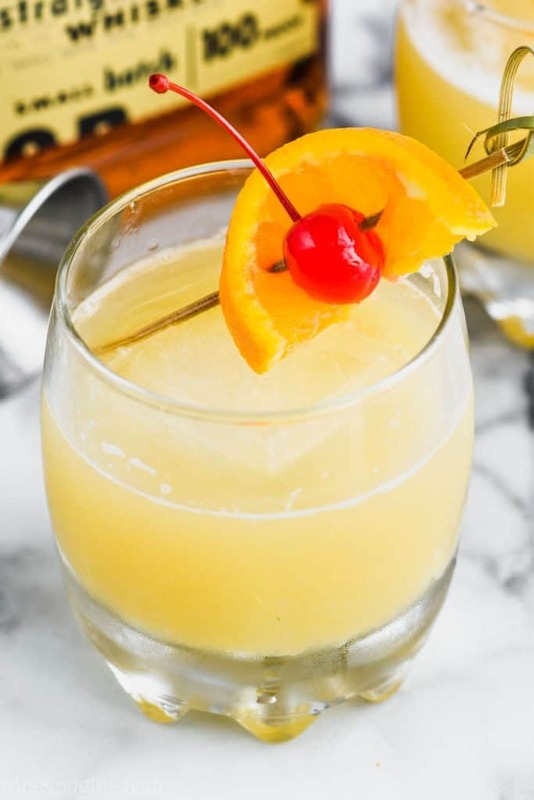 It is an orange liqueur that adds the perfect flavor to this cocktail. (You can also use it in my Best Margarita Recipe in place of the Grand Mariner.) That said, it is a slightly expensive bottle, and triple sec isn’t. 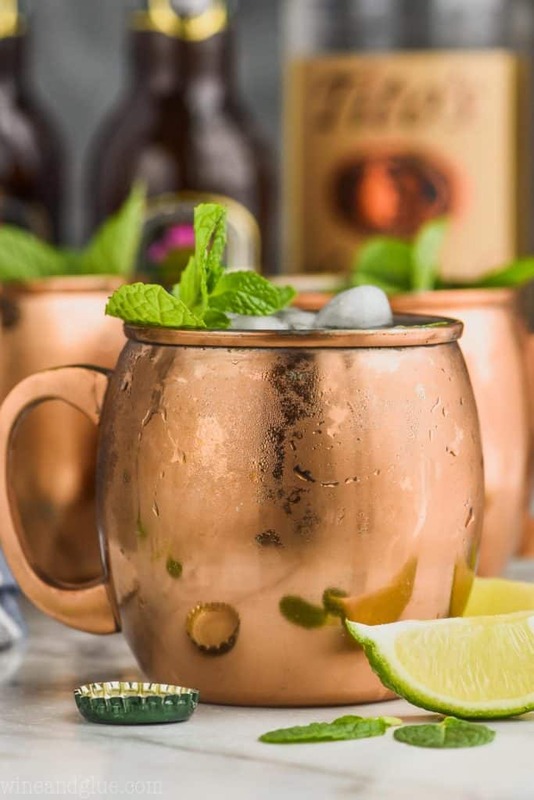 Triple Sec will totally work in this recipe, so if the price tag on Cointreau will stop you from making this recipe, use Triple Sec! This recipe is as simple as just mixing all of the liquid ingredients together and then adding the fruit. I like letting my sangria sit for a few hours or overnight before serving. Opinions vary on how long Red Sangria lasts. I think it is best within 48 hours. After that point, the rinds from the fruit get a little intense in there. First tip! As mentioned above, pick a wine you really love. 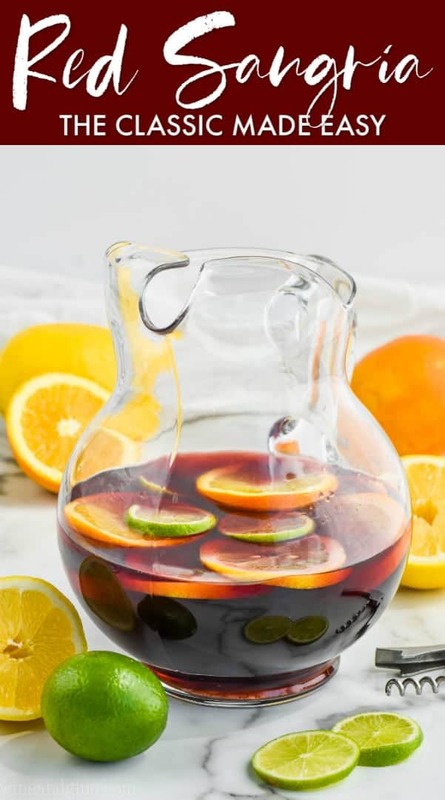 If you don’t like Brandy, I would use Rum in this sangria recipe. Serve your simple syrup on the side! 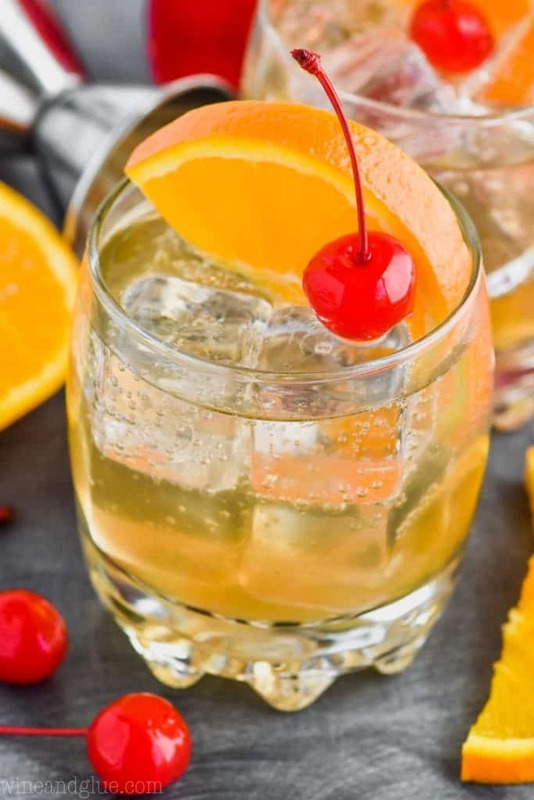 I brought this recipe to book club and I like it as is, but my wonderful neighbor likes her drinks sweeter and added a little simple syrup to her glass. Add other fruit that you have on hand. I love the flavors that the citrus fruit adds, but strawberries, apples, peaches, and blueberries are fun to add too! Serve seltzer water with your sangria! A little fizz added to the top is fun! Plus it stretches your batch of sangria a little further. Is Red Sangria served cold? Traditionally, you serve red sangria at room temperature, just like you serve red wine. But I’m a firm believer in people doing what tastes good, even if that means breaking the rules. Feel free to throw this red sangria recipe in the refrigerator or even (gasp!) put ice in your glass. 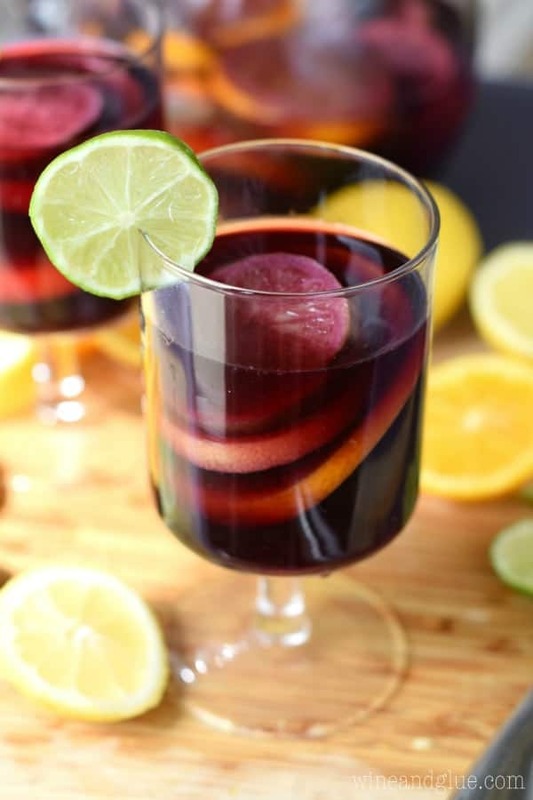 LOVE THIS RED SANGRIA RECIPE AND WANT MORE? 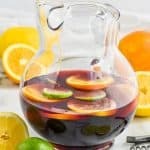 One of my favorite things about sangria is once you have the basic red sangria recipe down and the basic white wine sangria recipe down, you can throw together so many different flavor combos! You just need a bottle of wine, some liquor, and fruit! I have my most popular crazy spins listed below. This PINA COLADA SANGRIA is only three ingredients and everyone loves it! My TROPICAL MARGARITA SANGRIA is a combination of two favorite cocktails. This CARAMEL APPLE SANGRIA goes nuts every fall, but I love it all year round! 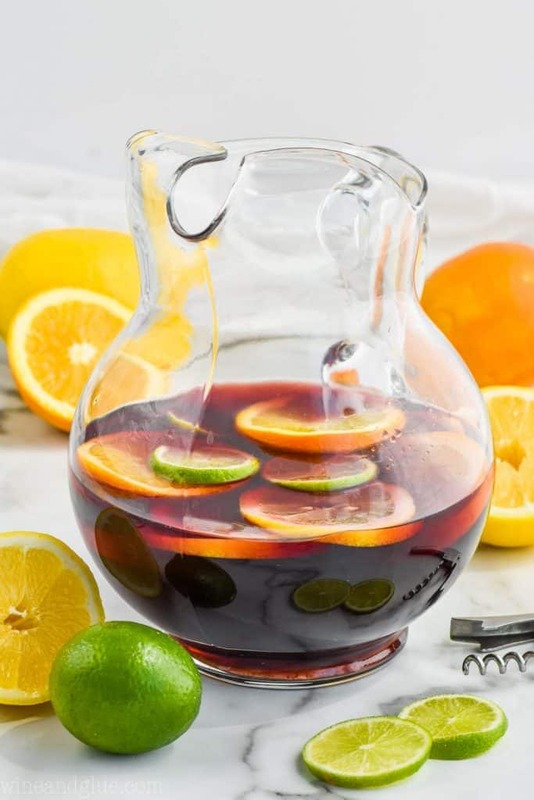 This Red Sangria Recipe is an absolute classic and only takes about 10 minutes to make! It is the perfect summer cocktail and a recipe you must have in your back pocket. Let the sangria sit a few hours or overnight before serving. For a not quite as strong drink, top the glasses with seltzer water. I’m so sorry, Lisa. I wish I had something to say that was helpful, but I really don’t. Your pain is real, it makes you who you are, and that is just reality. And when that gets too tough, there’s alcohol and chocolate. And Kleenex. All of that helps a little! I wish I could join you for several pitchers of Sangria on those days 🙁 At least you could borrow my shoulder to lean on! Remember friend I’m only a few keystrokes away at all times! You can do either! Traditionally red sangria is served closer to room temperature, but I’m a big believer in doing what you want when it comes to booze. So if you like your drinks cooler, put it in the fridge! Hi Lisa! Do you have recipes for large batches of your sangrias to serve at parties/receptions? Hi Mindie! I have so many great sangria recipes, and all of them can easily be doubled or tripled. I will say that when doing that, you don’t necessarily need to double or triple the fruit.